“Now entering for the New Jersey Nets #46, Jason Collins.” With that introduction, history was made Sunday night at Staples Center. The first openly gay NBA player took the floor to a rousing reception in the city that raised him. The NBA would never be the same, and professional sports would be forever changed. 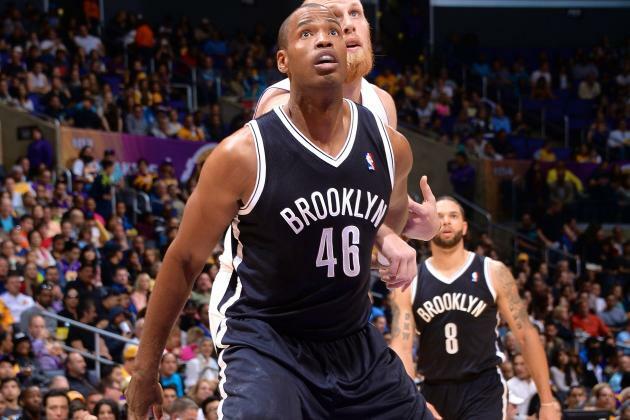 The Jason Collins moment was more than just the first openly gay NBA player. That historic moment represented a transformation in North American professional sports where gay players would no longer have to worry about discrimination. And most importantly, it demonstrates that gay athletes could be true to themselves and not fear the possible repercussions. This is not the first time that Brooklyn led a redefining moment in professional sports. Interestingly enough, Brooklyn was responsible for breaking the color barrier as well, when Jackie Robinson suited up for the Brooklyn Dodgers in 1947. Probably not the last time that Jackie Robinson and Jason Collins will be compared. As we are evolving as a nation that is more tolerant and accepting of homosexuality, there is no better place to see it celebrated than in the men’s sports world, where homophobia has been prevalent in recent years. Players, coaches, fans, and executives alike have all rallied behind and supported the movement. We have come a long way. Not to mention, we are six months away from potentially seeing the first openly gay NFL player, Michael Sam, take the gridiron. Jason Collin’s courage and strength is admirable. Not only is he the precedent for such a moment, but he has inspired thousands in the process. Somewhere in the nation there is a gay high school basketball player that knows he can fully embrace who he is and be proud of it.